Being sure your extinguisher is properly mounted is extremely important to the safety of the general public as well as being a requirement. Portable fire extinguishers other than wheeled types shall be securely installed on the hanger or in the bracket supplied or placed in cabinets or wall recesses. 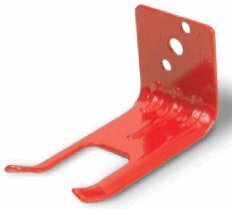 The hanger or bracket shall be securely and properly anchored to the mounting surface in accordance with the manufacturer’s instructions. Wheeled-type fire extinguishers shall be located in a designated location. NOTE: Authority cited: Section 13160, Health and Safety Code. Reference cited: Section 13160, Health and Safety Code. Extinguishers installed under conditions where they are subject to dislodgment shall be installed in brackets specifically designed to cope with this problem. 567.3. Installation. Portable fire extinguishers other than wheeled types shall be securely installed on the hanger or in the bracket supplied or placed in cabinets or wall recesses. 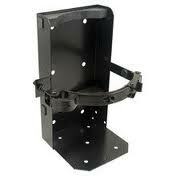 The hanger or bracket shall be securely and properly anchored to the mounting surface in accordance with the manufacturer’s instructions. Wheeled-type fire extinguishers shall be located in a designated location. Extinguishers installed under conditions where they are subject to dislodgment shall be installed in brackets specifically designed to cope with this problem.